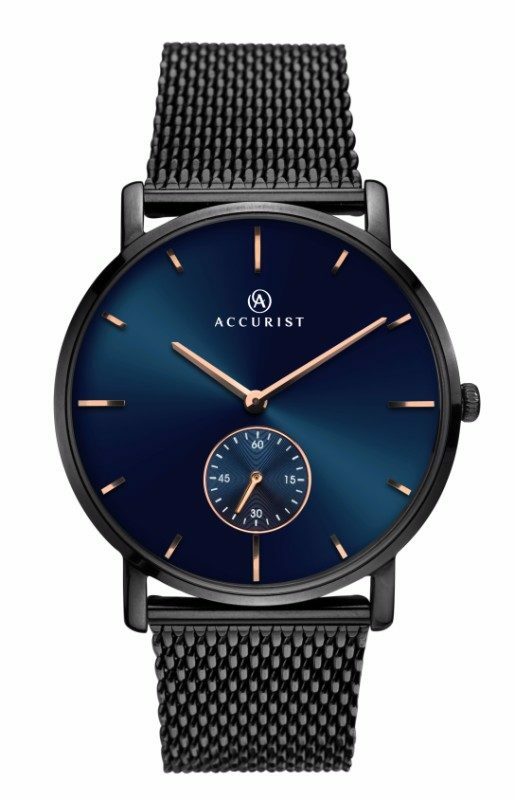 Stand out with this dark and alluring Milanese watch from Accurist. This bold timepiece features an ionic black plated stainless steel case and vibrant blue dial with remote second hand. Fastened with a ionic black plated stainless steel Milanese bracelet, this watch is guaranteed to make a statement.